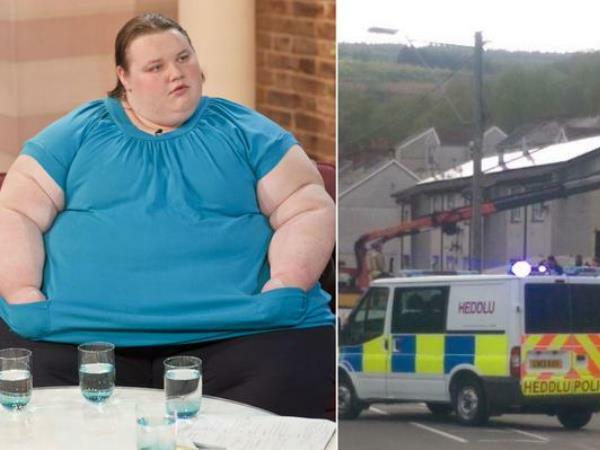 It took two cranes, seven police cars, two fire engines and 11 medical staffers to get Georgia Davis (22), once dubbed “Britain’s fattest teen”, out of her flat in Cwmaman, South Wales. The massive operation had to be performed last week because Georgia needed urgent medical care as a result of a serious infection. At 381 kg Georgia is so overweight she was unable to walk the 20 m from her front door to the ambulance. The road in front of her house had to be closed for seven hours when a crane was commandeered to lift the teen. She proved too heavy for the first crane, so a bigger one was brought in. Fortunately Georgia arrived at the hospital unharmed and is due to stay there for a few weeks for treatment. Neighbours call Georgia the Takeaway Princess because she consumes such vast quantities of pizza, kebabs and McDonald’s. Plans are already in place to take Georgia back home once she’s discharged from hospital. The cost? A hefty R180 000.